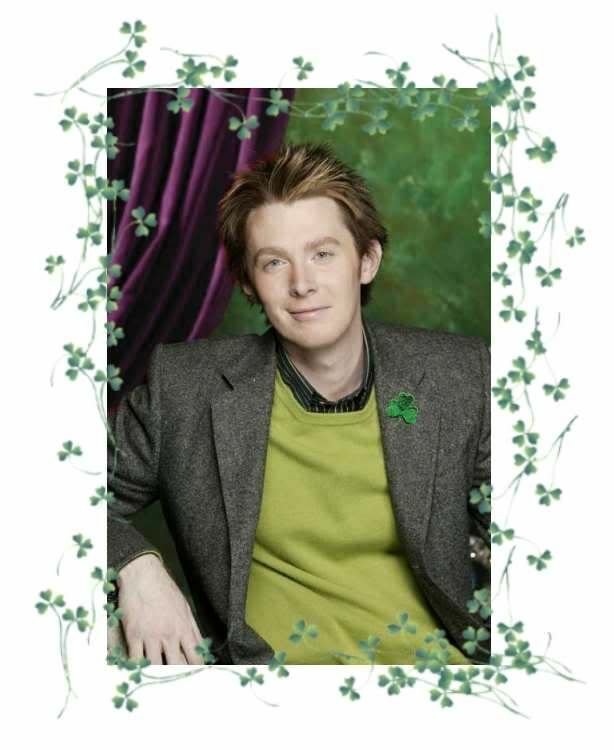 Clay Aiken – Erin go Bragh – Ireland Forever! What is Clay Aiken doing on St. Patrick’s Day? Is he in Raleigh or maybe California gearing up for the drop of his new CD, Steadfast? For 250 years, organizers in New York City have held an annual parade in honor of St. Patrick’s Day. In none of those 250 parades have LGBT marchers been allowed to participate under their own banner. This Saturday will mark the 251st annual New York City St. Patrick’s Day Parade, and once again, LGBT groups will be shut out. Organizers from Irish Catholic fraternal organization “the Ancient Order of Hibernians” are completely out of step with modern society. In 2008, organizers likened the idea of LGBT people marching in a St. Patrick’s Day parade to a “Neo-Nazi group” marching in an Israeli parade, or the KKK marching in an African American parade…. It sure makes you wonder, doesn’t it? Whatever Clay is doing, I hope he wears one of his green sweaters, eats corned beef and cabbage, and sings a lovely Irish song to his darling son. St. Patrick’s Day was originally a religious holiday to honor St. Patrick who introduced Christianity to Ireland in the fifth century. The holiday has now evolved into a celebration of all things Irish. The worlds first St. Patrick’s Day parade occurred on March 17, 1762, in New York City, featuring Irish soldiers serving in the English military. This parade became an annual event, with President Truman attending in 1948. Congress proclaimed March as Irish-American Heritage Month in 1995, and the President issues a proclamation each year. 36.3 million U.S. residents claimed Irish ancestry in 2008. This number was more than eight times the population of Ireland itself (4.4 million). Leprechauns are little make-believe fairies from Ireland. They are the little old men who are shoemakers for the fairies. They usually stand about 2 feet tall. The legend is that if you catch one you can force him to tell you where he hides his gold. School children have started a little tradition of their own. They pinch classmates who don’t wear green on this holiday. Wearing green is strictly a U.S. custom, as the color green is not popular in Ireland. Green is connected to the old green flag and a time when Ireland was not free. Many people will be eating Irish food such as Irish Stew and Corned Beef and Cabbage. Corned Beef is not an Irish dish. It is what Americans think the Irish eat. A more traditional meal would be ham and cabbage or bacon and cabbage. What are you doing to celebrate St. Patrick’s Day? Will you remember to wear green? Will you tip back a Guinness? Whatever you do, have fun and enjoy puzzling out the projects on Celebrity Apprentice… and look forward to all the wonderful things that are in the future for Clay and his fans!!! Of course Clay will be celebrating St. Paddy's Day wherever he is. After all, he is half Irish!! Erin Go Braugh!! Well I'll be wearing my green sequin tie at work today to celebrate St. Patrick's Day. I've even got some Irish blood in me! I too wonder what Clay will be doing today. Can NOT wait for tomorrow nights episode. It's going to be great fun! Thanks musicfan for bringing us all this wonderful infor! and cabbage with potatoes, carrots and Irish Soda Bread while we watch on television the parade in Manhattan as they march down 5th Avenue. wow! another great picture of Clay, love you Clay and your beautiful voice. Even tho' I am English I am wearing green. Erin go Bragh. I wonder if Clay is wearing the FUGLY green sweater?? He says he can't find it, coz he was going to auction it for NIP at 2010 gala. Happy St. Patrick's Day to you all. Top o' the Morning!!!!! Lovely picture of Clay in Green. Wherever Clay is, I hope he is enjoying his day. Have a wonderful day everyone!!! Nice article Musicfan..thank you! The page looks so nice today!! Thanks…I am even wearing Green today!! Thanks for all the posts this week with all the links!! Thanks for the wishes. Happy St Patricks Day to you too. Special holiday greetings to you!! Well…A Happy St. Patrick's Day to everyone who celebrates. I am sure that Clay has the luck of the Irish in him…especially with all that red hair. Thanks for the greeting, info, and super pic of Clay! According to Wiki, it did come into play during the suppression, but green was the color the rebels wore as defiance, not what the English made them wear, so now it should celebrate freedom, right? "… green was the colour of the Society of the United Irishmen, a republican revolutionary organization." We're having green pizza tonight with a broccoli topping and green dough to celebrate St. Pat's day. Tomorrow we're having some people over and will some traditional Irish food then. 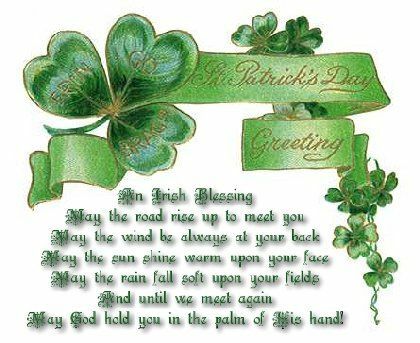 Happy St. Patricks Day to all. Erin go Bragh! Seems Clay was in Raleigh with Tyra – very cute pic! Musicfan and all of the info as always. Happy Saint Patrick's Day a day late. Celebrated by making corned beef and cabbage. I think Clay celebrated part of the day with Tyra Banks–great picture on twitter of the two of them. Don't think he had green on, though. But, he has those beautiful green eyes–does that count? Error: Error validating access token: Session has expired on Tuesday, 21-Aug-18 16:13:01 PDT. The current time is Thursday, 25-Apr-19 19:18:46 PDT.